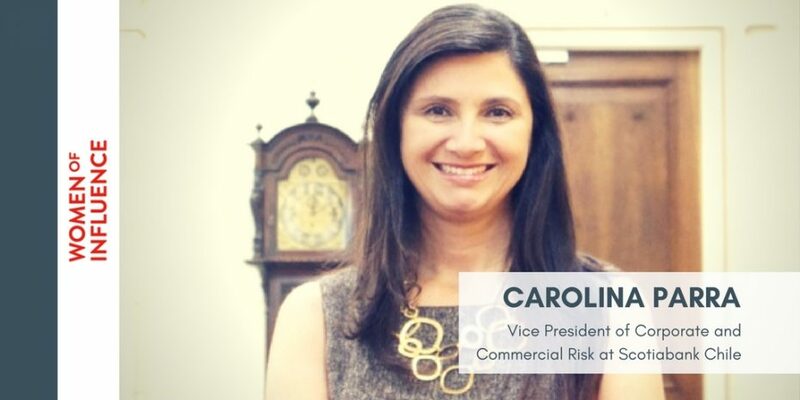 Carolina Parra is the Vice President of Corporate and Commercial Risk at Scotiabank Chile. She’s also a mother, wife, and adamant advocate for the value of diversity, recognizing that when a diverse group of talented individuals is heard, incredible things can happen for both business and culture. 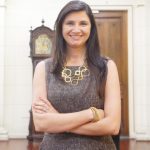 Carolina Parra is an executive at one of Chile’s banks. She’s also a wife and mother to a 7-year-old daughter. But whether Carolina’s in the boardroom or at home, she makes it clear which role comes first. Growing up in Bogota, Colombia as the eldest of two daughters, Carolina says her upbringing had a huge impact on her career aspirations and future success. After completing her industrial engineering degree at university in Bogota and a stint in consulting, Carolina found herself drawn to the world of commercial banking. She says she always liked the financial side and enjoyed numbers. Over the next two decades, Carolina expanded her expertise, working in different areas of banking as well as several different countries, including Colombia, Puerto Rico, Chile and Canada. She says her experiences enhanced her appreciation for diverse cultures, as well as the need to understand context when entering a new environment. To promote diversity at Scotiabank Chile, the council has created an internal communications campaign to educate the workforce on the benefits of diversity and inclusion, as well as hosting multicultural lunches with staff to celebrate the different cultural backgrounds of employees. The council also recently launched an initiative to recruit more people with disabilities. “At Scotiabank, we’re all working to create awareness that there’s value to diversity, that we need to cherish and create that shift in culture to challenge our unconscious bias and create that inclusive environment,” says Carolina. She notes that women can undercut their own progress by not “raising their hand” when it comes to promotion opportunities. That’s why she believes it’s important for senior management to help identify women who are ready for career advancement. Coaching can also be a powerful tool to help talented women progress in the business world. “It’s that constant feedback to employees to focus on how they can improve, how they can expand their influence and improve their technical skills,” says Carolina. For women who want to excel in their chosen industry, Carolina says her first advice is always, find what you love and do it very well. When she isn’t leading her team or coaching the next generation at Scotiabank Chile, Carolina’s focus is on spending her leisure time with her family, in activities like swimming and playing tennis. She hopes to raise her daughter with the same confidence that she grew up with, and the knowledge that it’s possible to have both a family and a fulfilling career. This article was first published on womenofinfluence.com. Through events and content, Women of Influence provides access to female role models, enabling women to see not only what is possible, but learn firsthand how they can achieve their own success.